On a lazy weekend, prep your slow cooker in the morning, and relax for two hours. 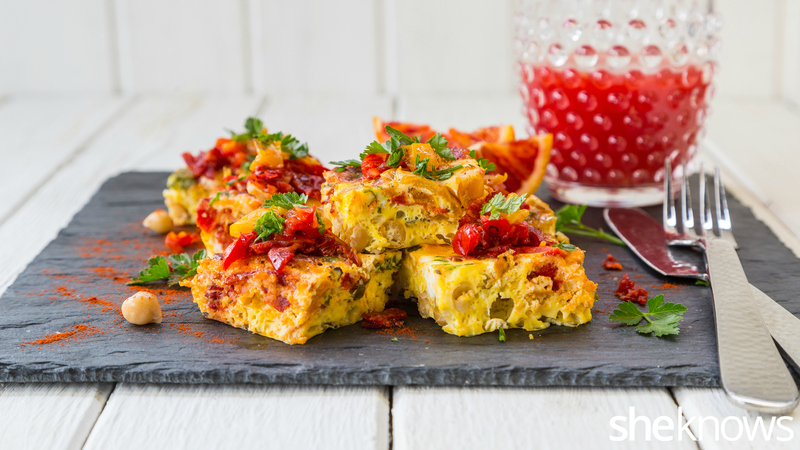 You will love this Spanish-inspired breakfast frittata. 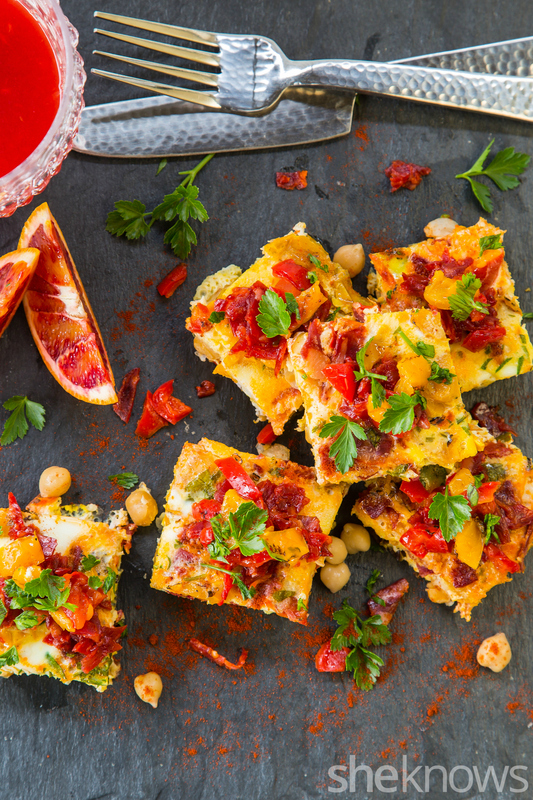 Chorizo, paprika, bell peppers and chickpeas — what do they remind you of? Spain. It’s one of the countries with a very popular and much-loved gastronomy. With flavors like these that excite the taste buds, I can’t help getting all worked up when I open the slow cooker and inhale the wonderful smells of Spain in my own kitchen. Its cuisine is different from its neighboring countries, and what makes it special is the piquancy of paprika and chorizo. Because this is a slow cooker recipe, all you need to do is roughly chop the ingredients and put everything together in the machine. Two hours is enough time to relax again in bed while waiting for this omelet to be ready. And by that time, I am quite sure you will be hungry, because there should be an appetizing smell emanating from the kitchen. There’s no need to wake up the rest of the family. 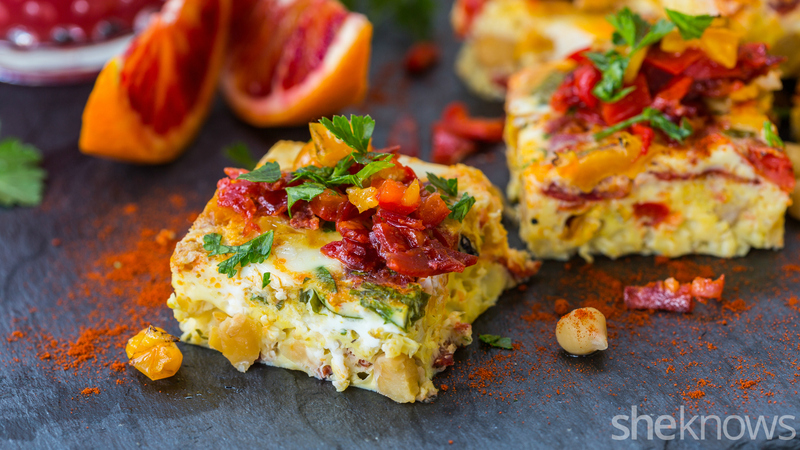 Whether for breakfast or any meal of the day, this frittata takes you on a delicious trip to Spain, boasting the flavors the country is known for. In a medium bowl, whisk together the eggs, salt and pepper. Spray some oil on the bottom of the slow cooker, or rub it with some olive oil. Pour the whisked eggs into the slow cooker, then add the chorizo, chickpeas, peppers and parsley, making sure they are all submerged in the eggs. Sprinkle the paprika on top, if using. Set the slow cooker on high for 2 hours.